Welcome to ResDiary 9.8! This month stay on top of business with our Booking Report, Running Order and Table Plan View improvements. Control walk in in business with new W8List notifications, and look your best by adding links to your Instagram account on your free listing on ResDiary.com. Read further information below. Please remember to clear your cache to access all new functionality fully. Test drive the features with our new inline manual whenever you log into your diary. Just click the blue button titled “Show New Features” when you log in to your diary to get started. We have a new feature in the “Edit Promotion” settings menu. Define how many hours before booking a promotion is available to a diner.. Ideal for ensuring any pre-orders or special requirements are processed in time. 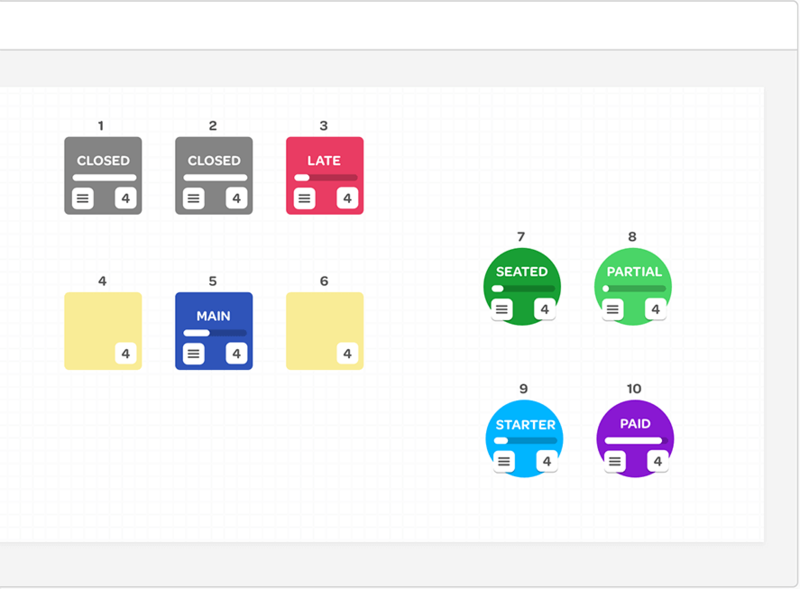 Manage your floor easily in service by using the Table Plan view. This month we bring you improved functionality. You can now add bar tables and add a diner’s name to the details displayed on each table in this view. We have added Customer Type, Booking Codes and VIP status to the report filters in the Booking Report. 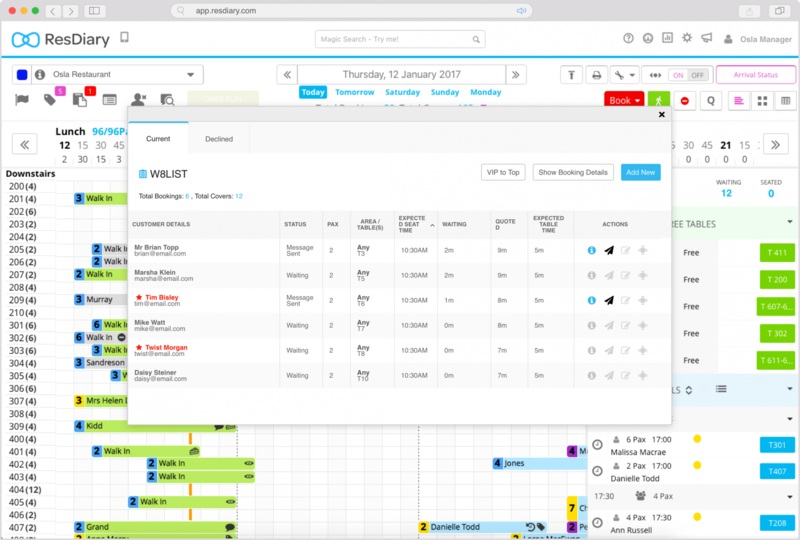 Users will now be able to run a report that indicates VIP diners , booked for a specific time period, across one site or a group. All new Booking Report options will be automatically selected. We have added a new section at the bottom of the Running Order Report, which break down your daily reservations by cover size per time slot. This addition is great for helping chefs and managers to identify busy periods and additional staff or service requirements. We know that even the best laid plans can change, so we’ve made it easier for diners to keep you informed. The email or text notification that diners receive when adding themselves to the W8List now allows them to decline their place. Diners simply click on a link directed at a landing page. 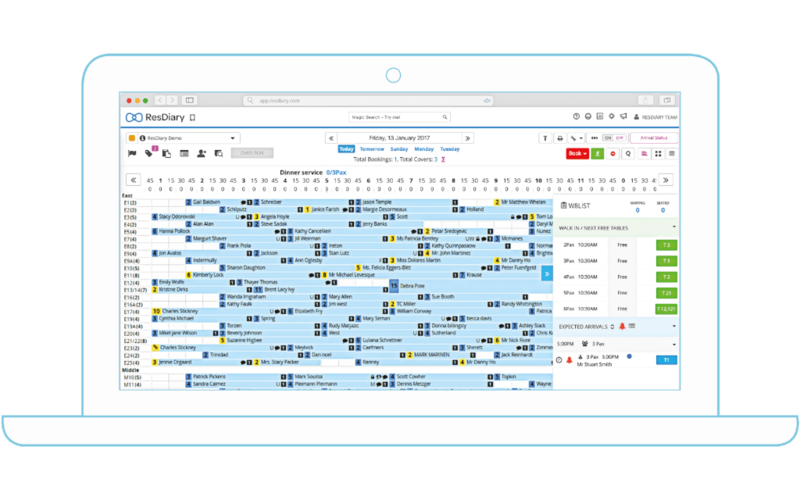 Try out the new features and learn in a live environment, with our brand new interactive inline manual on the Diary. Just click the blue button titled “Show New Features” when you log in to your diary to get started.